Don’t skip pre-emergent weed control in the early spring. Pre-emergent weed control is your lawn’s best defense against weeds. This weed control treatment targets weeds before they have the opportunity to break through the soil barrier. This is also the best time of year to prevent crabgrass. Be sure to select a product that is effective in crabgrass suppression. Service your lawn care equipment. Don’t start the season off with the wrong equipment. Ensure that your lawn mower has been serviced and is functioning properly. This is also a good time to have the blades sharpened or replaced. Sharp blades and well-functioning equipment are critical to proper grass care. Edge around landscape beds and hard surface areas. Take a little time to edge around your landscape beds and hard surfaces before your grass starts actively growing. This will give you a head start with maintaining clean lines and a polished landscape look. Edging regularly helps keep grass from creeping into your bed areas. Before the active growing season begins, clean up any light debris or remaining leaves that are left over from the winter season. Clearing debris ensures that your lawn receives oxygen and sunlight to welcome it back from spring. It also helps prevent fungus and disease. If your lawn had any problem spots in the prior season, now is a good time to test the soil and then apply the appropriate soil amendments, like lime, to treat the problem. Get a head start on treating any areas that may show signs of fire ants or other pests. Grub control or other pest control measures for lawn pests like moles and voles can be applied now too. When you begin to see green in your lawn, it is time to start thinking about water. Don’t wait until the temperatures get too warm, or you risk causing drought stress to the grass. Your lawn requires 1″ of water per week throughout the growing season. Be sure your lawn mower blade is set to the correct height before you mow. Mower blades are often lowered late in the growing season in preparation for winter. Before your first mow, be sure that your mower blades are set to the correct height. This simple, but important step, prevents scalping. Spot spray weeds that have already germinated. If you have weeds that have already germinated and grown through the soil, these should be spot treated with weed control. Spot treatment for weeds should be practiced throughout the grass growing season. 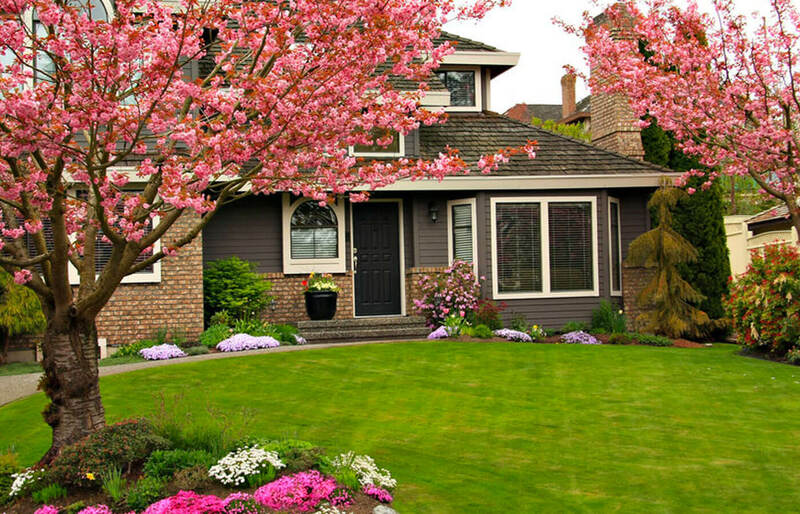 Feeling overwhelmed and not sure how to give your lawn the best start this spring? Call the Pros at Canopy Lawn Care! Our knowledgeable team can get your lawn ready for spring and also keep it looking great throughout the year with one of our customizable recurring maintenance packages.